Las Vegas New Year's Eve is the most exciting two day event in the world! Venture out on the Strip to experience the most lavish NYE events as well as parties, shows and concerts performed by world-class celebrities. Remember too, many properties are running NYE specials that include accommodations, exclusive NYE show tickets and parties. Whether you choose to attend a celebrity concert, attend a party at the Stratosphere, or watch the fireworks, you will be creating a lasting memory. If you want to find the perfect place to celebrate your Las Vegas New Year's Eve, then you should go to the New York New York. Here at our very own Brooklyn Bridge you can start the party four hours before hand while you indulge in numerous beverages from an open bar and mingle with other party goers. When midnight strikes you can raise a glass of champagne into the air and scream out Happy New Year or just simply kiss your loved one who is next to you. And it gets better with a great view of the fireworks that happen every New Year's Eve on the Strip. 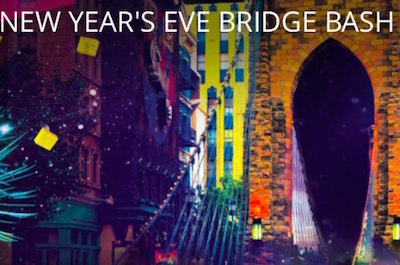 There is no better place to bring in a Las Vegas New Year's Eve then attending the Bridge Bash. 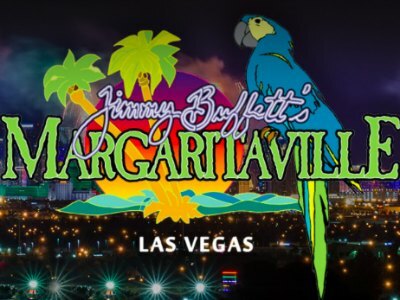 If you have not decided where to spend your Las Vegas New Year’s Eve, then you should think about attending Margaritaville New Year’s Eve party. From the time you set foot inside Margaritaville your night will be loaded with fun activities and plenty of booze. After entering you will enjoy open seating, party favors, a live band, dancing and a champagne toast at midnight to help ring in the New Year. Oh, we forgot to mention there is an open bar too of premium cocktails for you to indulge in for 3-hours leading up to midnight. If this sounds too timid for you, then upgrade to the VIP package which takes place on the top two floors. This package gives you a front row seat to the fabulous firework show on the Strip that always rings in the New Year, tasty appetizers, a 3-hour premium open bar as well as a DJ spinning all the top hits and of course a champagne toast at midnight. If you don't want the hassles of a big crowd during your Las Vegas New Year's Eve party then you should really book your ticket at the Hard Rock Café! The Hard Rock Café has the perfect vantage point for you to view the crowds on the Strip while you party until the stroke of midnight with an open bar, plenty of appetizers and live music to keep you dancing. The Hard Rock Café will be decked out with party favors and at midnight you can ring in the New Year while watching the spectacular firework show as well as toast your partner with champagne. This could be the best party in town and don't forget, you can watch all the festivities from around the world on numerous big screen televisions, so you won't worry about missing a thing. Not quite decided whether you want an all-inclusive night with remarkable food or just drinks, then the Stratosphere New Year’s Eve Party is a great place to select. The Stratosphere is offering to different ideas for New Year’s and they both include the stellar 360-degree view from 800-feet in the air. Your first option is the party scene on the 107th floor where you will be treated to an open bar for specific number of hours and you can decide on ordering food as well. The second option is to go all out and indulge in an all-inclusive package that includes tasty cuisine from blackened salmon to a tower of shrimp to hominy crusted chicken as well as an open bar for a specific time frame. Both parties will be exquisite and help you ring-in 2019 in style, so be ready to dress to the hilt for this occasion. Added bonuses for both options include party favors, a complimentary champagne toast and an incredible view of the famous Las Vegas firework show that lights up the Strip of New Year’s Eve. 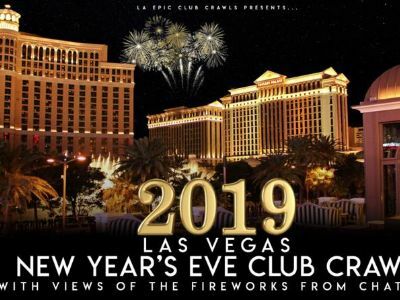 Fountains, fireworks and the Eiffel Tower is what you will enjoy when you book the Las Vegas New Year’s Eve Club Crawl with Chateau and Fireworks. Your partying adventure begins when you meet your party hosts at the PBR Rockbar at Planet Hollywood where you can plan your party night with a free well drink. From here your hosts will take you to a second watering hole where you can participate in plenty of drinking games and have some profession photographs taken to help you remember the night. The fun really gets heated when you arrive at the Chateau Nightclub and Beer Park where you will have VIP express entry into the action. Once inside you will be experience partying under the Eiffel Tower while gazing at the Bellagio Fountains. During you time at Chateau Nightclub and Beer Park you have access to a complimentary open bar for 3-hours which is sure to keep the party happening as you roam from the nightclub to the beer park. At midnight while watching the fireworks overhead, you will be treated to complimentary champagne toast. 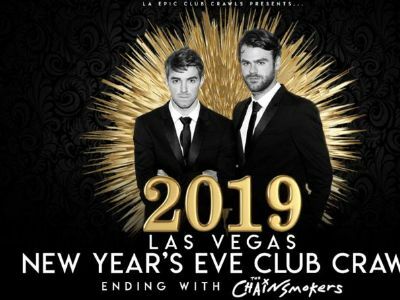 Have your dancing shoes ready to move while you listen, poolside, to some of the hottest EDM on the Strip when you book the Las Vegas New Year’s Eve Club Crawl with the Chainsmokers. The party gets started when you check-in at Senor Frogs situated within the Treasure Island Hotel and Casino. After meeting your party hosts you can slam down a free shot and then indulge in BOGO drinks until you are ready to blast into the next party. When you arrive at XS Nightclub you will go straight to front-of-line with exclusive VIP express. Once inside your feet will take control as you listen and dance to the incredible EDM provided by the one-and-only Chainsmokers from New York City. There will be plenty of drink specials for you to party with poolside at this exciting venue where the stars light up the sky. 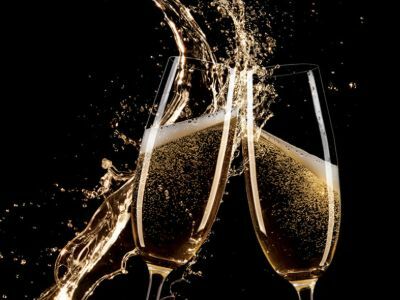 At midnight there will be a complimentary champagne toast to help ring-in a new year. Added bonuses on this party filled excursion are professional photographs and a team of hosts to keep the party lively. 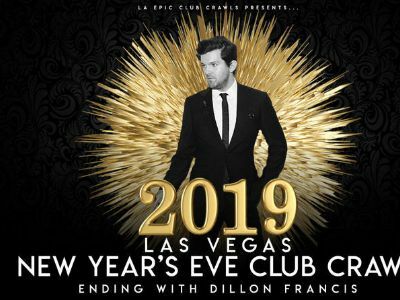 Put your party hat on and get ready to listen to plenty of Moombahton genre music when you experience the Las Vegas New Year’s Eve Club Crawl with Dillon Francis. This epic event starts when you meet your party hosts at Senior Frogs located within Treasure Island Hotel and Casino. Once checked-in you will devour a free shot and indulge in plenty of BOGO while inside Senor Frogs. From here you will follow your party hosts along the Strip until you reach the Intrigue Nightclub where you will enter flawlessly with VIP express entry. Inside you will be treated to plenty of drink specials while listening to one of the hottest DJs in town, Dillon Francis who brings his own style of electronic Moombahton genre music to the stage. At midnight the champagne corks will be flying while taking part in a complimentary champagne toast. Added bonuses on this excursion are professional photographs and a team of hosts to help you from venue to venue. When you are searching for a legendary performer to see on Las Vegas New Year's Eve, Celine Dion should be right on top of your list. Performing at the Colosseum within Caesars Palace, Celine Dion always brings a night to remember and she is bound to ramp her music up for NYE. You can count on Celine Dion to have superb musicians playing your favorite covers from her that will probably include hits from all types of music from her own songs like The Power of Love to Because You Loved Me to perfect remakes from artists like Adele's Hello and Queen's The Show Must Go On. This five time Grammy winner is a must see anytime and especially on NYE. Looking for a real treat to see while experiencing an incredible Las Vegas New Year’s Eve in 2018? Then go see the superbly choreographed show featuring Gwen Stefani-Just a Girl. Live at Planet Hollywood you can be assured of a fantastic night of reveling with plenty of music and dancing during her four show residency from December 27th-31st. 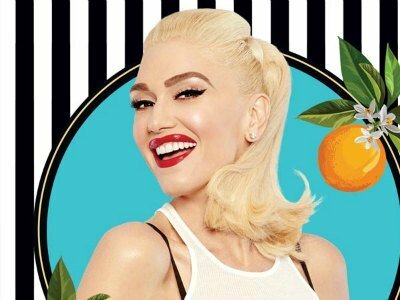 Gwen Stefani is a must see show when in Las Vegas and New Year’s Eve is sure to bring the best out of her when she hits the stage. There is a donation of given to Cure 4 Kids Foundation for each ticket sold which gives you another reason to see her breathtaking performance. 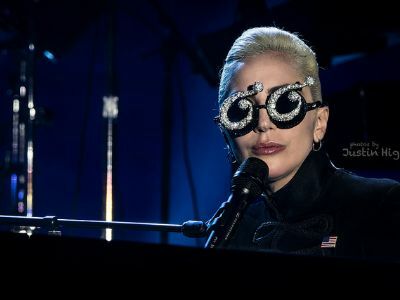 If you are thinking about having a Bad Romance during a fantastic Las Vegas New Year’s Eve event, then going to see Enigma featuring Lady Gaga at the Park MGM is the only place go. Her high powered show with plenty of splendid choreography will be electrifying as she dances across the stage playing all of hits from Poker Face to John Wayne to Born This Way to Million Reasons. Her new residency begins on December 28th and is the perfect place to bring in the New Year’s. An exciting way to spend a Las Vegas New Year’s Eve may be on the Strip but with Tenacious D playing at the Hard Rock Hotel and Casino, you might want to think your plan out again. 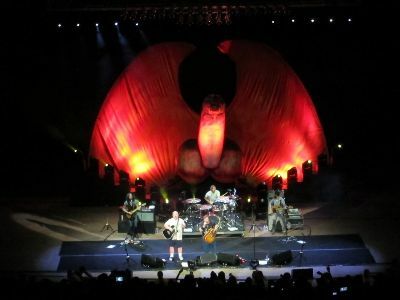 The self-proclaimed Greatest Rock Band in the World featuring Kyle Gass and Jack Black bring their eclectic style of rock-n-roll to the stage for this one night event. The two artists have not toured together for almost five years and this is sure to be an evening to remember as they light up the stage with their fantastic guitar work during their upcoming tour of the USA. 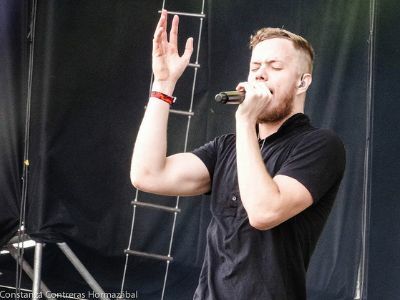 Wow, going to see Imagine Dragons is a superb way to spend a stellar Las Vegas New Year’s Eve. The band brings their alternative sound back to their hometown where their musical roots began and are scheduled to light up the stage at the Cosmopolitan Las Vegas for one show only. This is a no brainer event for indie music lovers to see that will surely bring good vibes to your body as you groove to songs like Cover Up, Born to be Yours and Bleeding Out. The T Mobile Arena is proud that Grammy Award winning singer and musician Bruno Mars and his band of Hooligans will be performing for Las Vegas New Year's Eve along with special guest Boyz II Men. 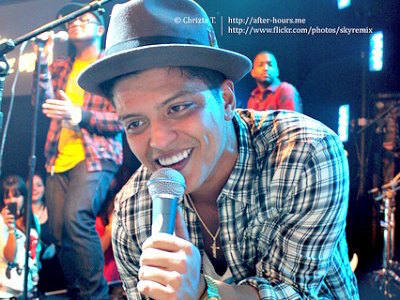 Bruno Mars and the city's favorite Boyz II Men have all the right moves for ringing in an excellent NYE. 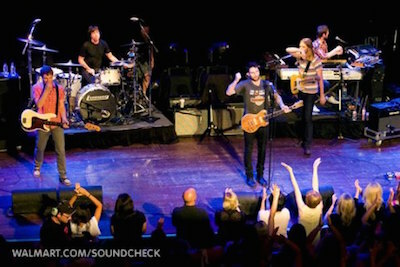 For the sixth consecutive NYE the famed music group Maroon 5 will grace the stage at the Mandalay Bay Resort and Casino. For two evenings (December 30 and 31) Maroon 5' stunning musical talent will perform their popular songs to a highly choreographed stage production. Las Vegas New Year's Eve will only escalate the energy that Maroon 5 will bring to this memorable event which is sure to be a crowd pleaser.